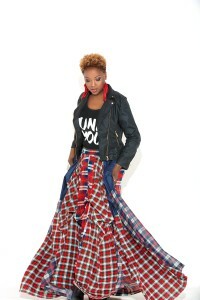 Conya Doss: The Queen of Indie Soul | New Growth Hair Magazine | We capture the culture of urban barbershops and beauty salons. 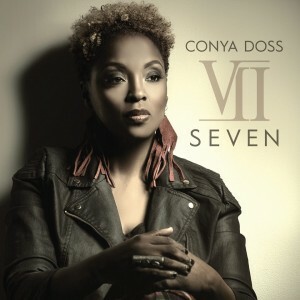 Conya Doss who is known as The Queen of Indie Soul, recently released an album entitled VII, the follow-up to A Pocketful of Purpose, which was released in 2012. Conya considers herself a student of music and she listens to all genres for inspiration. Since releasing her first album, Conya has experienced life-changing events that have helped her to cultivate her creativity. In 2010, she gave birth to her son Landon Blu and she named her fifth album after him. After becoming a mother, Conya wanted to share her gift of music with other young people which led her to accept a teaching position. Instead of teaching in a school of the arts or a private school, Conya took on the challenge of teaching special needs students (ages 14 to 21) in Cleveland Public Schools. Before The Natural Hair Movement gained traction amongst African-American women, Conya Doss was leading the way as a Neo-Soul Naturalista. Conya deserves credit for being a pioneer in the natural hair movement, taking risks with her musical career, and being authentic. Below is my interview with Conya Doss about her natural hair journey, her passion for music, being an educator, motherhood, and entrepreneurship. Phillips: Have you ever you relaxed your hair? If so, why? Doss: Thanks to my mother, about twenty years ago, my hair was relaxed. After I was old enough to make my own decisions, I’ve never used a relaxer. During the time that I had a relaxer, I felt like my hair looked limp and it wasn’t very healthy. When I made my transition to natural hair, it wasn’t very popular but it just felt like this was the way that my hair was supposed to be and my hair was well received by my friends and family. The difficulty that I faced was finding a salon that knew what to do with my hair. I’ll never forget when a stylist told me that she didn’t know how to cut my hair without pressing it. It’s a good thing that times have changed and more information is available about how to care for natural hair. When the Neo-Soul era came to an end, that’s when my hair became an issue. Phillips: In 2025, do you think the natural hair movement will still have momentum or will sisters be wearing the 2025 version of the Jheri Curl? Doss: I can’t even envision the Jheri Curl making a come-back. I think that natural hair is here to stay. Women are getting educated about the pros and cons of putting chemicals in our hair. We are learning to become more comfortable in our own skin. I just can’t imagine activator stains in 2025. So I think the Natural Movement is here to stay. Phillips: Do you think your natural hair helped or hurt your career? 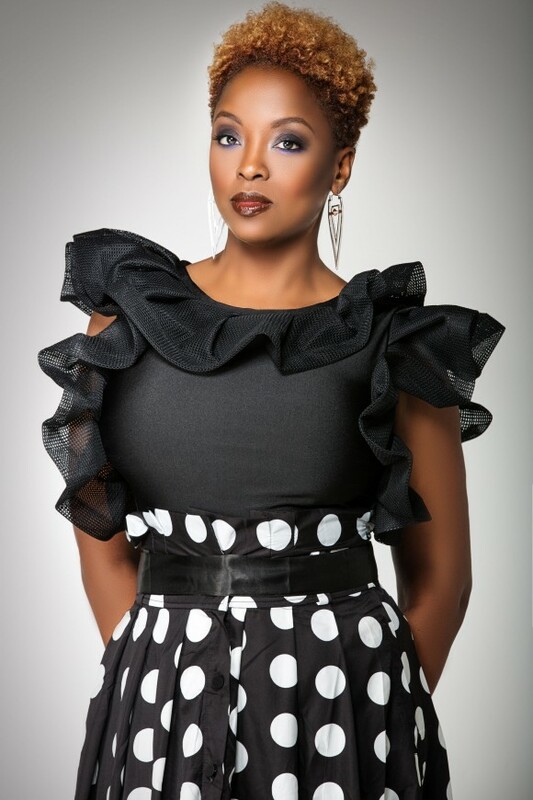 Doss: When I released my first album, my hair was fashionable because we were at the beginning of the Neo-Soul era. So when my career began, I can say with confidence that my hair helped my career. When the Neo-Soul era came to an end, that’s when my hair became an issue with my music career. I had managers who told me that I looked too ethnic and they suggested that I relax my hair to become more marketable. The combination of my natural hair and my darker skin complexion was perceived as an issue for my former management team who tried their best to coerce me into relaxing my hair. That experience reminded me of the Dorothy Dandridge and Lena Horne era, when artists were expected to conform to European standards of beauty. Honestly, I was shocked that my former management team even asked me to change my hair and appearance. It wasn’t long after that situation that we parted ways and I’ve never looked back. Phillips: How do you balance being a mother, a musical artist, and an educator? Doss: All I can say is, prayer. It’s really hard to wear all three hats at the same time and to do well in all three areas. Sometimes, I indulge in one area which leads to me slacking in another area. So I’m learning to strategically balance all three roles. Being a mother is the most important of all of my roles and that’s where I devout the most energy. After mommy time, I make time to record. So when my five-year-old tired himself out and went to sleep, that’s when I had time to record VII, my current album. But it’s been getting harder to record because as my son gets older, he fights sleep better. Thankfully, I have a support system that helps me when I need to go to someone else’s studio to record. Phillips: Do you use music in your classroom? If so, how? Doss: Absolutely. In the classroom, I introduce students to different genres of music starting with Nina Simone all the way to Enya. When we are learning about poetry, I teach my students that music is poetry. When time permits, we listen to songs and then we break down the music and the language. I use music to help my students better understand the English language, so they grasp the meaning of metaphors, similes, and symbolism. Last school year, we were reading Things Fall Apart by Chinua Achebe and my students learned about the symbolism of the yam. Then when my students heard Kendrick Lamar’s King Kunta song, they were able to grasp the meaning of the “What’s The Yam?” phrase that Kendrick Lamar repeats throughout the song. Those type of experiences are priceless for educators because that’s when we know that we are building a relationship with our students. Phillips: What made you decide to launch your own record label? Is it challenging to operate as an artist and a business executive? When I made my transition to natural hair, it wasn’t very popular but it just felt like this was the way that my hair was supposed to be. Doss: It’s extremely challenging to wear both hats. In the past, I’ve dealt with contractual situations where money was missing, funds were misallocated, and I wasn’t sure who to trust. Now that I’ve launched Conya Doss Songs, Inc., I know how many CDs and digital downloads are sold and I can see the deposits my bank account from music sales. Also, if anything goes wrong, I don’t have anyone to blame but myself. Now, that I’m in control of my career, I have to make sure that I learn as much as I can about the business side of the music industry. The only disadvantage is that I don’t a have the huge marketing machine behind me but that just requires my team and I develop creative ways to connect with my fans. Phillips: How can fans stay connected with you? Doss: I ask my fans and your readers to stay musically connected with my by purchasing VII, my new album which is available on iTunes, Amazon.com, CDBaby.com, in your local music stores, or on my website at www.conyadoss.com. Also, I invite your readers to follow me on Facebook at Conya Doss Fans, on Twitter @conyad, and on Instagram at Conya Doss.